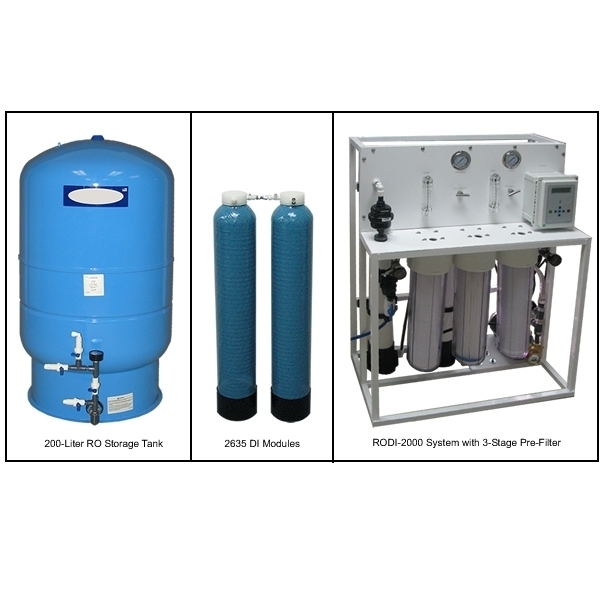 This combination Reverse Osmosis System and 8-12 Liters/minute DI System is uutilized in operations involving virtually any quality tap water. The system is mounted on a welded aluminum frame and includes a built-in three stage pre-filter assembly. The RO portion of the system will economically remove >97% of the contaminants from the incoming water and will produce RO pretreated water at the rate of ~ 1-GPM. The RO water is stored in a 200-Liter pressurized storage tank for use by the DI portion of the system. 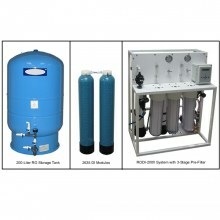 I would like to request a quote for Type I RO+DI Systems for Tap Water.